LAPD Bomb Squad at Abbot Kinney and Westminster - Yo! Venice! 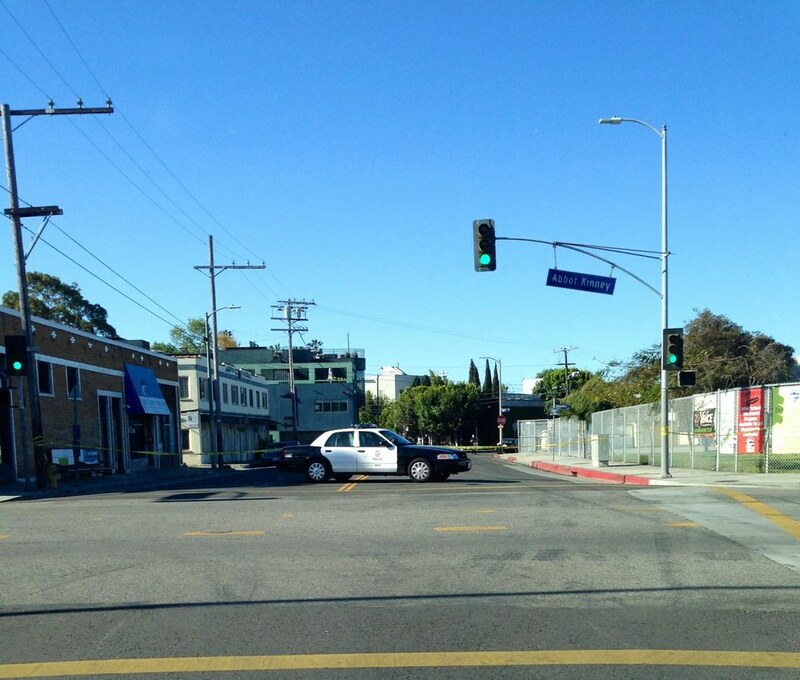 The LAPD Bomb Squad is investigating a suspicious package at Main / Abbot Kinney near Westminster Elementary. Previous Bomb Squad visits to Venice have found skateboard parts in a backpack (they blew them up) and a transient’s suitcase. Better safe than sorry! From their website: The LAPD Bomb Squad has 28 full-time Bomb Technicians who respond to all explosive-related incidents throughout the City. The Bomb Squad maintains an on-call team to respond to calls 24-hours a day. Each Bomb Technician carries essential equipment including the bomb suit, x-ray, bomb blanket and other special tools. This equipment is required to handle the variety of explosive-related incidents. Approximately 22% of calls the LAPD Bomb Squad handles are live devices that have been rendered safe, live devices that already functioned, live military ordnance, or other illegal explosive devices.